Let us bring Academy to you! 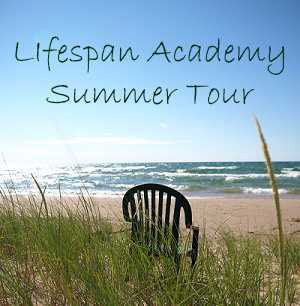 In keeping with our discussion about summer being a calmer time of year, we decided it’s also a good chance for us take Lifespan Academy on tour. This tour includes information about academy, examples of our classes, FOOD, and a chance to take away one tip. What more could you ask for and it’s all on us. We will have some of our instructors joining us to talk about their class and to give a small snapshot of what they offer. Several of our congregations are interested in having us come and visit this summer and we hope you will spread the word and get us even more dates! The answer to the two most frustrating things about your phone or tablet. Why line dancing is good for you? There is a Smithsonian Museum in Georgia! Here are some of the places we hope to be this summer.